In my last entry, having written about my recently acquired 1999 Triumph Speed Triple, did you happen to notice any similarities between that and the two other bikes I had written about in the same entry? They are all over ten years old by now. They are all my Super Dinos . 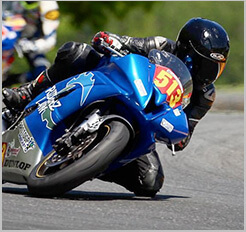 It's a racing class that is effectively open – anything goes – to all and any motorcycles, so long as they are thirteen years old by the race season. It's my favorite class of racing for that club, and I'll tell you why. In the motorcycling world and timeline, particularly in the sport riding segment, the shelf life of any good motorcycle can be less than a handful of years before it's relegated to "outdated" by its latest iteration. 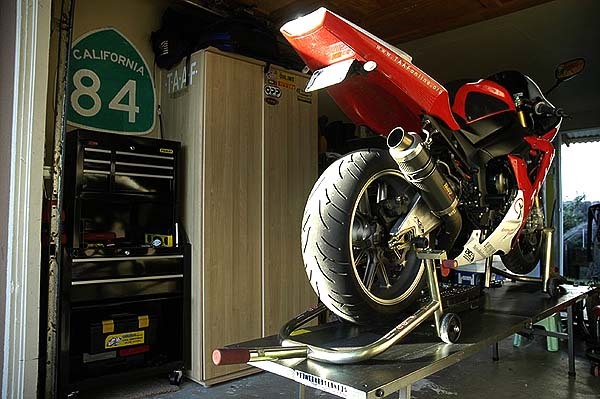 Before the economy took a dive, we were seeing sportbike models updated every two years, and even when the recession did reverberate into the motorcycle industry, it simply meant that we had to wait 3-5 years instead for an update on our favorite sportbike models. Catwalk models wish they could get that kind longevity before the next turnover. In any case, I've always thought such a quick turnaround a shame. Don't get me wrong, I'm just as excited about any sport rider to read about today's latest and greatest sportbikes, but as they become more and more powerful, streamlined, and even digital (albeit, not always LIGHTER! ), the more I see the gap grow between the machines' capabilities and the riders' abilities. 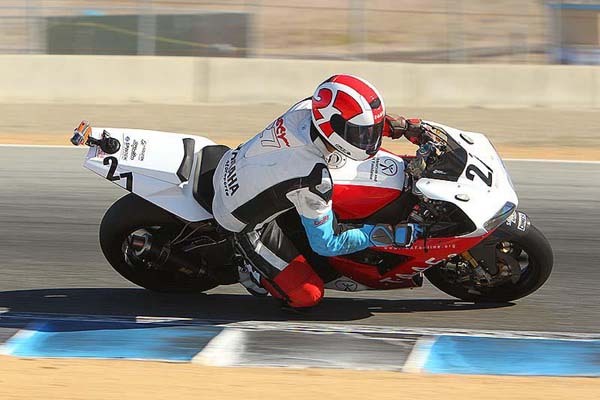 These days, sportbikes – or superbikes if you will – are outdoing one another in their technical prowess, growing at a rate faster than your average sport rider is growing in their ability to actually tap into the bike's full potential, save for a talented few. It's a growing disparity between what these machines have to offer, and what we can actually do with them. That's why I still like yesteryear's analog superbikes. I know that in all my abilities, I'm still far from fully tapping into what my 2002 Yamaha R1 has to offer, but I feel I'm that much closer to doing so than any of today's superbikes. And that's why I love the AFM's Super Dino class, because it's where I can see yesteryear's analog superbikes duke it out like the giant, thundering lizards of yesteryears. I mean, take a look at the first photo I posted up top. 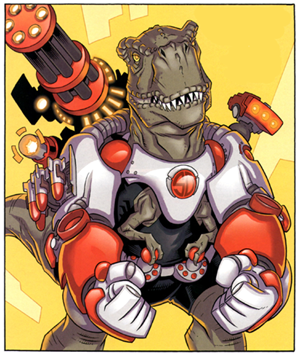 Yes, that T-Rex today would be millions of years old, and his shoulder-mounted rockets and laser propulsions dwarfed by his rear-mounted Gatling gun are probably as outdated by today's standards, but you try telling me that you would know what to do with a dinosaur packing that much heat! That's pretty much how I still feel about my eleven year old Yamaha R1. It's old on paper, but I'll be damned if it still doesn't intimidate me every time I ride it. In 2015, my 2002 R1 will be eligible for Super Dino, and I hope to race the bike in that class, simultaneously popping my club racing cherry. Gatling gun on the rear; ANYTHING goes in Super Dino! I probably will own one of today's latest and greatest digital sportbikes. Eventually. Maybe when they're old enough.